Promotional and Practical. Custom Decoration Reduces Plastic Consumption. Consumers are accustom to single-use solutions for their eating and drinking habits. However, environmental concerns have pushed many consumers and businesses to re-think these behaviors and seek alternative options for a more sustainable lifestyle. Industrial-grade digital printing technologies enable the economical production of custom-branded items like stainless steel water bottles and cups—making them more enticing to businesses and consumers. There are several methods for decorating to reusable table and drinkware. More traditional methods include screen printing, pad printing, laser engraving, and heat transfer. However, the latest digital print technologies enable direct to shape or direct to object printing with inkjet, bringing the benefits of digital to a new group of products. Above: Steelys Drinkware makes custom, zero-waste drinkware for festivals and events like the Jack Johnson Tour. Founded in 2010 and based in a 5,000 square foot converted warehouse facility on the San Francisco, CA waterfront, Steelys Drinkware is a wholesale supplier of custom printed, reusable food-grade, stainless steel cups, bottles, straws, and food containers. The company’s objective is to minimize society’s consumption of single-use disposable goods. It is a wholesale business-to-business supplier, not a consumer product company. “You don’t find Steelys branded product in stores. Instead, we make them for others and we decorate them with their branding or messaging,” offers John Borg, founder/CEO, Steelys Drinkware. The company designs and produces reusable steel cups and bottles that meet the highest standards for health, safety, sustainability, and corporate social responsibility. “Our products promote a healthy lifestyle, can be reused endlessly, and reduce landfill waste. Most are made from premium, food-grade stainless steel that is tested to be free from lead, phthalates, BPA, and other toxins. Steelys products can be reused for years, passed on to others, and are 100 percent recyclable at the end of their long lifecycle,” shares Borg. Steelys Drinkware pioneered the use of refillable steel cups and bottles to minimize waste at events and venues. It has made custom, zero-waste drinkware for touring bands, non-profits, NGOs, governmental institutions, sustainability organizations, food and entertainment venues, and large-scale events across the country. Among its customers are festivals and events like Afropunk Fest NY, Big Wonderful Denver, Bonnaroo Arts & Music Festival, Chicago Green Festival, Gaia Festival Laytonville, Health & Harmony Festival Santa Rosa, High Sierra Music Festival, Lightning in a Bottle Festival, Monterey Jazz Festival, Outside Lands Music Festival, Reggae on the River, Smorgasburg NY, SweetWater 420 Fest, SXSW, Tall Tree Music Festival, and the Telluride Fire Festival. Touring bands and acts include Ben Harper, Bonnie Rait, Dave Matthews Band 2014 to 2018 Tour, Dawes, Dead & Co, Jack Johnson Tour, Jackson Browne, Keb Mo, Luke Bryant Tour, Marooon 5, and Pink. Non-profit partners and customers Alliance for Sustainable Colorado, Clean Water Action, Commonwealth Club/Climate One, Midway Atoll, National Parks Foundation, National Parks Service, Ocean Conservancy, Plastic Pollution Coalition, Rainforest Action Network, REVERB / Sustainable Concerts Working Group, TED Conference, and The Sierra Club are also customers. Its products are popular among corporations such as Alaska Airlines, Aspen Ski Company, Clean Power Finance, Consumer Reports, Disney, District Bicycles, Ecco, Electronic Arts, Equal Exchange, ESPN, Google, Marketo, Pivot TV, Skywalker Sound, Sun Run, The Northface, and Thule. The company serves customers throughout the U.S. and also ships larger orders to European markets as well as Canada and Mexico. Steelys Drinkware offers a range of products, including custom printed stainless steel cups, bottles, straws, and food containers. For customization, it utilizes several methods of printing, including screen printing, pad printing, laser engraving, and full-color digital printing. The company gets a lot of referral business, and most orders start by people finding its website and filling out an order or quote request form. “Because each order is custom, we don’t just sell online. The process usually involves a series of emails, phone calls, and digital mock ups. Most of our work is done via email or follow up phone calls as needed. Once order details and budget is approved, we pre-bill the order, and put it in production once we receive payment,” says Borg. The company contracts out its print work, which is done through three facilities throughout the U.S., based in CA, MN, and NC. A handful of additional contract print facilities are called upon as needed. While Steelys Drinkware has entertained the idea of bringing production work in house, it eventually determined it doesn’t make sense for its current business model. “It works out better for us to use the San Francisco office for sales, marketing, and samples, and farm out print production to third-party contract printers, who hold our blank inventory,” explains Borg. “Our model is working, so we intend to keep it going the same way. It is possible we could make better margin if we did the printing ourselves, but that would require a new facility, equipment, and employees, so we see no need to disrupt something that is already working. Plus we have great contract print partners,” he shares. Custom orders are shipped out seven to ten days from pre-payment and approval of digital proofs, including freight time, which varies depending on where goods are shipping from and heading to. While more traditional print methods like screen printing or pad printing are its most popular offerings—due to the flexibility, multi-color options, and affordability—the company also offers full-color digital printing. About six years ago, it decided to add digital to its portfolio. 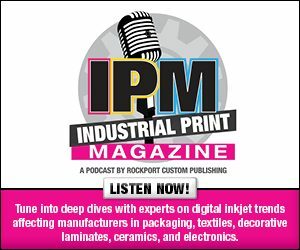 “We had customers with full-color digital photos they wanted to print, or graphics with a lot of complex color gradations, which we could not print or would be cost prohibitive to print using conventional screen printing techniques,” points out Borg. With digital printing capabilities, the company offers customers beautiful full-color photo-quality images, with color complexity, gradations, and complicated art files that could not normally be printed with conventional printing processes. “It is quite affordable. We have the option of printing on silver unpainted bottles or other colors, but we only print on white painted water bottles. The white base bottles provide a blank canvas, so the colors really pop,” suggests Borg. He admits the company could probably amp up its full-color printing offering, but it is currently only available on a handful of different water bottles out of the more than 100 products carried. “In the grand scheme, it’s a fairly small percentage of our business. If we offered the full-color printing on more products, we could probably sell more of it. But for certain projects, full-color digital printing is the only option offered that adequately prints on the product,” he explains. Steelys Drinkware recently utilized full-color digital printing on custom water bottles for an environmental non-profit customer involved with communicating the impacts of climate change. It revolved around an informational campaign highlighting the impacts of global warming on the wild polar bear population. The customer requested custom water bottles for distribution featuring a photograph of a polar bear on one side, and on the other side statistics about polar bears and the dangers they face as a result of climate change. While the image of the polar bear did not include any dynamic colors—just a white polar bear standing on a sheet of ice, it featured extensive detail and gradations that could not be reproduced in any way other than full-color digital printing. To achieve the level of detail and quality it was looking for, Steelys Drinkware embellished the photographic image so the silhouette provided contrast on the white bottle. “The image turned out beautiful, the customer was happy, and the bottles are part of a campaign currently underway to communicate the negative impacts of fossil fuel consumption and global climate change,” comments Borg. The sustainability movement is of major importance to Steelys Drinkware’s business philosophy—particularly minimizing plastic pollution and waste. “Many of our clients are activist organizations looking to cut plastic use. We are constantly developing new products to address this issue. We were among the first U.S. suppliers of reusable steel straws and in the last year our sales in this area have exploded as various cities around the U.S. are introducing single-use plastic straw bans,” says Borg. Steelys Drinkware stands out with a strong portfolio of products and capabilities as well as a clear message of sustainability. With advancements in printing technologies, businesses offer high-quality solutions that meet a range of demands—all while focusing on core business goals aside from the manufacturing and production of the goods sold.